Dip it, Spread it, Freeze it, Cut it! It doesn’t end with adulthood. Everyone, at every age, knows that peanut butter evokes the wonderful taste of childhood, innocence, family, playtime and private moments between you and the pantry. Peanut butter is both heartwarming and packed with protein. Not to mention wildly mouthwatering, totally addictive and all sorts of scrumptious. (Unless you’re allergic, in which case there’s always jelly!) But, hey, we’re preaching to the choir here. 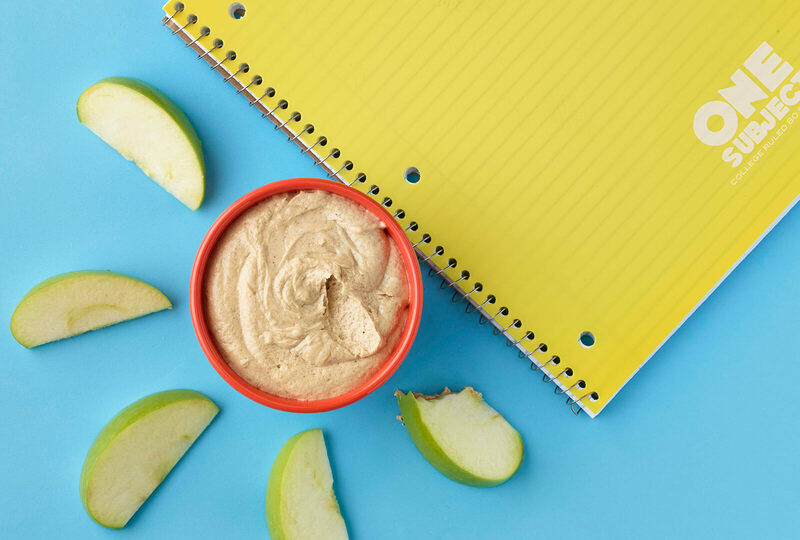 To celebrate the joy of peanut butter, the makers of the SKIPPY® brand created kid-friendly recipes featuring peanut butter and its friends. Think peanut butter and apples, peanut butter and bananas, and peanut butter and – oh, hello – chocolate. Grab a tall glass of milk, because here are some of the best PB&awesomeness recipes out there. 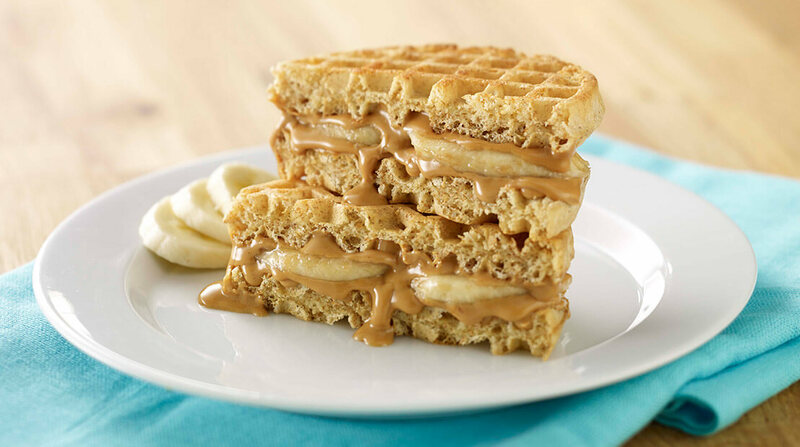 Spread 2 waffles with peanut butter; top with sliced bananas and remaining waffles. 1. In a small bowl, combine yogurt, peanut butter and honey until blended. Using wooden picks, dip grapes in yogurt. 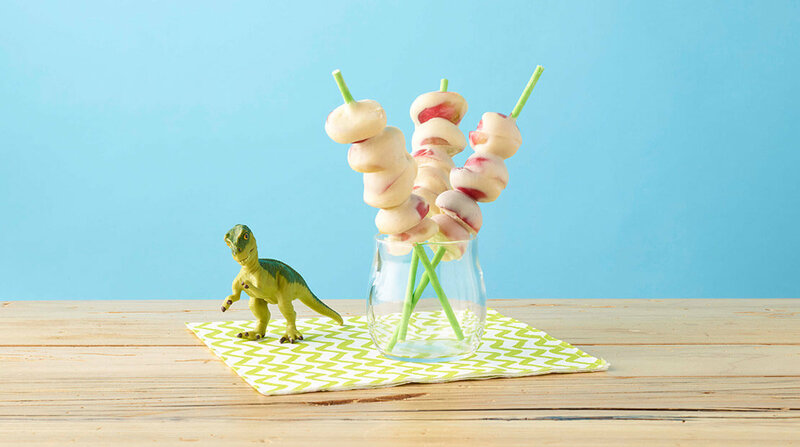 Place on skewers, if desired. Place on parchment paper-lined jelly-roll pan. Find these recipes & more on the SKIPPY® brand website! 1. In large bowl, beat together cream cheese, peanut butter and sugar with electric mixer for 2 minutes. Stir in chocolate chips. Refrigerate overnight. 2. Using a small scoop, shape into 1-inch balls and place on parchment paper-lined baking sheet. Refrigerate for 1 hour. 3. Melt dipping wafers according to package directions. 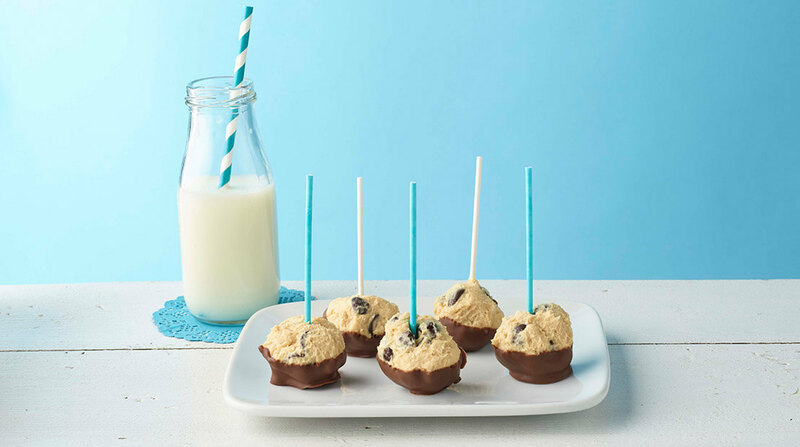 Using candy sticks, dip cheesecake bites halfway in the melted chocolate. Place on parchment paper and refrigerate 30 minutes or until chocolate hardens. 1. In small bowl, stir together peanut butter and honey. Heat in microwave on HIGH for 10 seconds. Stir until smooth. 2. 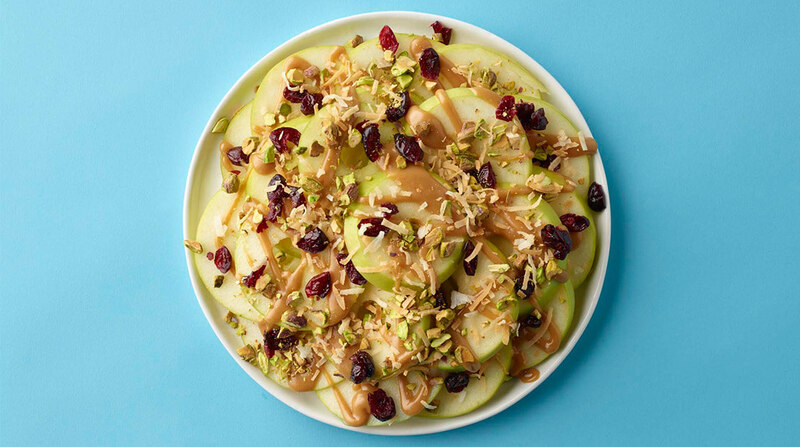 Place apples in a single layer on serving platter. Drizzle with peanut butter mixture. Sprinkle with pistachios, coconut and cranberries. Serve immediately. Melt almond bark according to package directions. 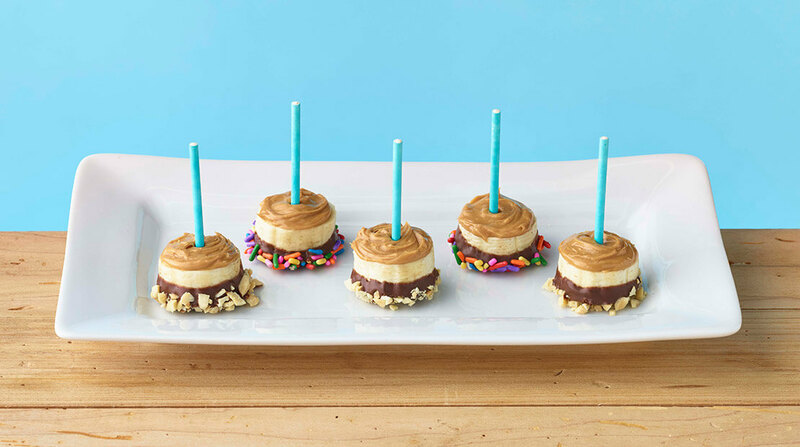 Dip banana slices halfway in melted chocolate and roll in peanuts or candy sprinkles. Let stand 30 minutes or until set. Top with peanut butter.